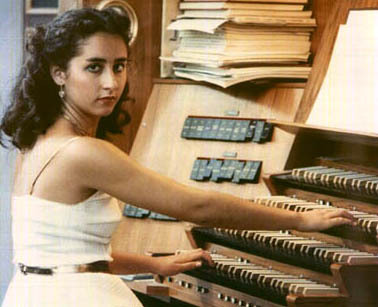 Pilar Cabrera performing J.S.Bach at the age of 18. Nuestra Sra. de la Encarnación - "Our Lady of Encarnation". Photo of PILAR CABRERA in 1982 taken by Michael Reckling. principal promotor of Marbella's Órgano del Sol Mayor.